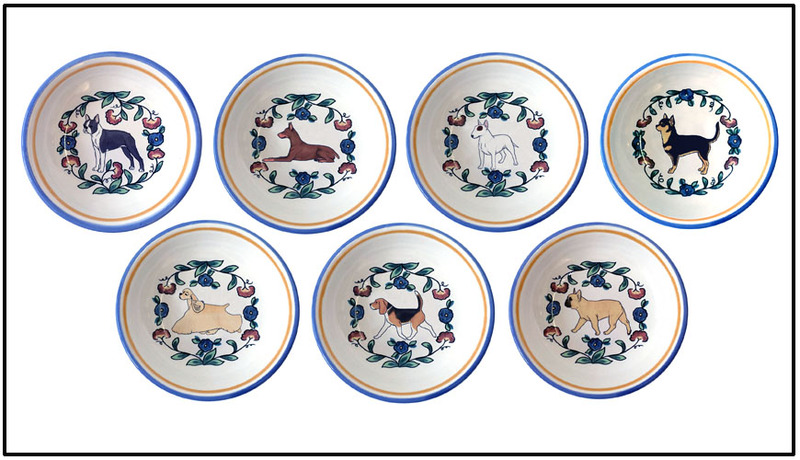 Colorful dog breed dipping bowls, available with your favorite dog breeds. These sweet little bowls are the perfect size for serving sauces, holding rings or coins. They also great when you're looking for that "little something" to give to the dog lover in your life.